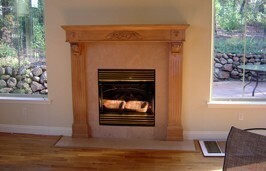 GRASS VALLEY STAIR COMPANY takes pride in all facets of interior trim at the highest level of craftsmanship. Whether its installing doors, crown, base, windowsills, panels, flooring, custom fabricated or factory produced, we will offer unmatched quality at competitive prices. We also have the ability to design mantels or fabricate interior trim to match your new or existing staircase which will complement the architecture of your home. Please note all pictures on the websites are pictures of projects done by Grass Valley Stair Company and therefore are our sole property. We look forward to the opportunity to bid on your new or remodeling project. Call today for your free estimate!